A bold lead or fun toprope after leading Hayley’s Comet. 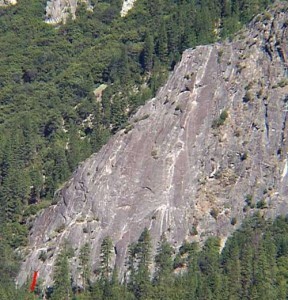 The route continues for three seldom climbed pitches. Which SuperTopo guidebooks include a topo for Jump for Joy?